"Rarely do we face a situation of change or crisis where complicated layers of relationships and expectations are not contributing factors. Battered leaders may range from completely innocent victims to managers who have some (or much) culpability in creating their own pain." Using Paul's second letter to the Corinthian church as a "classic management case study," Janis and Wes Balda identify the contributing factors to organizational conflict, particularly in ministry, and highlight solutions for a more healthy, constructive common commitment. 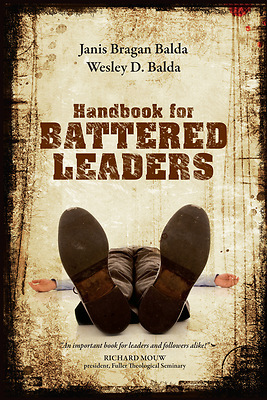 Without excusing the contribution of leaders to a toxic environment, Handbook for Battered Leaders gives you the tools you need to faithfully and responsibly identify and address the toxicity in whatever culture you lead.